OFF-SEASON VACATION RENTAL - This lovely 2-bedroom/2-bath 2nd floor unit with elevator access is located in the M-1 Building Well maintained and turnkey furnished with gorgeous Gulf view overlooking the heated pool and beach-house. Designated parking and in-unit laundry. Tile andBerber carpeting with Mexican tile flooring on the lanai. 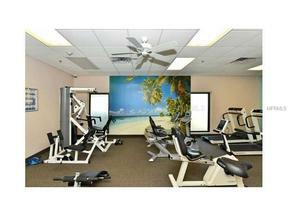 The Rental Rate/month includes all utilities, cable TV, taxes, departure cleaning and access to all Seaplace amenities. located in one of the most popular beachside communities on Longboat, with easy access to Sarasota and St. Armand's.